Jerome George Kaluza obituary. Carnes Funeral Home. 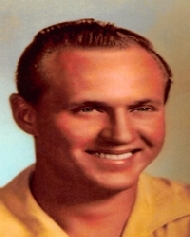 Jerome G. (Jerry) Kaluza, lifelong resident of Galveston county, passed away April 5, 2019. Jerry was born to Joseph and Frances Kaluza on February 9, 1929. He was a proud merchant marine in the 40s, the owner/operator of the St. Patrick shrimp boat for eighteen years, a member of Boilermaker Union #132, VFW Lodge 5400 American Legion and Elks. The St. Patrick garnered many awards as the most outstanding decorated boat in Galveston’s Blessing of the Fleet festivals. His daughters, nieces and nephews enjoyed many fun times decorating the boat, culling shrimp and many Gulf of Mexico adventures. Those who knew Jerry remember being entertained by his musical abilities with his accordion and harmonica which were present at every function he attended. His favorite place on this earth was his hunting camp in the great Texas Hill Country. This was his sanctuary and the gathering place for many family and friends throughout the years. Jerry is preceded in death by youngest daughter, Frances (Franny) and is now reunited with her and with his beloved parents and brother. He will be greatly missed by daughters, Christine Kaluza Collins and Jerri Lynn Kaluza Hegman; grandson, Christopher Kaluza, for whom he has been his caregiver; granddaughters, Lindsey Kaluza, Melissa "Missy" Trevino and Mandy Kaluza; sister, Estelle Kaluza Smith as well as many nieces and nephews. Funeral Services will be held at Carnes Funeral Home,3100 Gulf Freeway, Texas City, 77591 Saturday, April 20. Visitation will be 9:30-10:30 with 10:30 Services to follow.